We advocate and promote drug-free raw powerlifting as a means of physical and emotional self-improvement. We are an online coaching organization, communicating remotely with athletes around the world and developing comprehensive training plans. We focus both on manipulating training variables over time and working with the athlete as they progress from beginner to advanced. All training plans include evidence-based guidance on technique, nutrition, sports psychology, and of course training. We serve athletes both in creating one-off training plans, and also in a weekly capacity creating yearly training and growth. We work with athletes just discovering powerlifting through athletes at the highest levels of competition. Outside training, we strive to educate and provide resources to drive the strength community forward and into the future. We focus on process over outcome to increase motivation. We’re big on coach-athlete bond and communication. It’s the glue that connects. We bring our creativity and problem-solving to the table. We use evidence-based, constantly updating training strategies. Yearly planning handled in a sustainable way. We aim to minimize burnout. As high level athletes and referees, we walk the walk. We are five coaches strong, each coming from a different background - each active competitors and referees ourselves. We strive to break the mold of templated, simple programs and create real, customized approaches addressing the individual needs and training history of the athlete. Applying modern exercise science, research, and practical application, it is our mission to inform, educate, and make our athletes stronger drug-free lifters. Creating and maintaining sound, year-round programs for both beginning strength athletes and experienced powerlifters with continual progress is our top priority. We focus on injury prevention through proper movement and planning. Powerlifters can be strong and keep an eye on body composition through a balanced approach to nutrition. We address this with accurate weekly adjustments to macronutrient intake ensuring adequate recovery, and no-stress weigh-ins before meets. 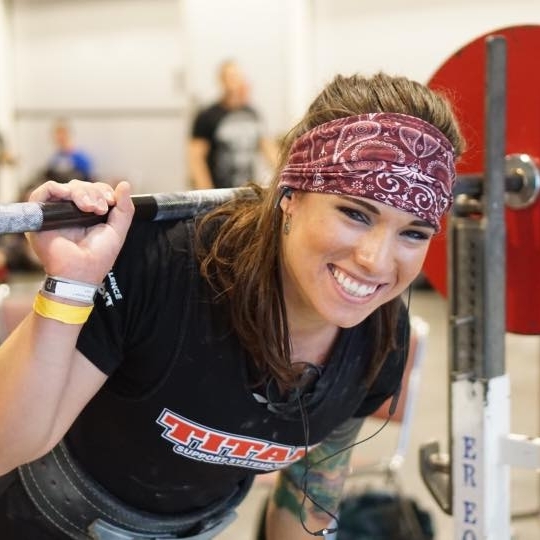 Powerlifting involves regulation of emotions in the preparation leading into a meet and throughout the meet itself. An honest discussion of each individual's own motivations, desires, and realistic expectations is a necessary step toward success. A good powerlifter is mechanically efficient providing for both maximal muscle recruitment and strength. Mobility, stability, and stretching are included to address weaknesses in ranges of motion, efficiency, and motor skill patterning. Custom training cycles are 8-16 week customized training approaches built just for you! After video conferencing with a coach, you'll be given a tailored program perfect for your training history, schedule, and goals. Link these together for a year or more of training at an affordable cost, or transition into higher communication options. Best of all, all programs after the first are 20% off.